Just like ketchup, mustard, mayonnaise, tartar sauce, hot sauce and all the other cool condiments, Sriracha is now available in portable portions. 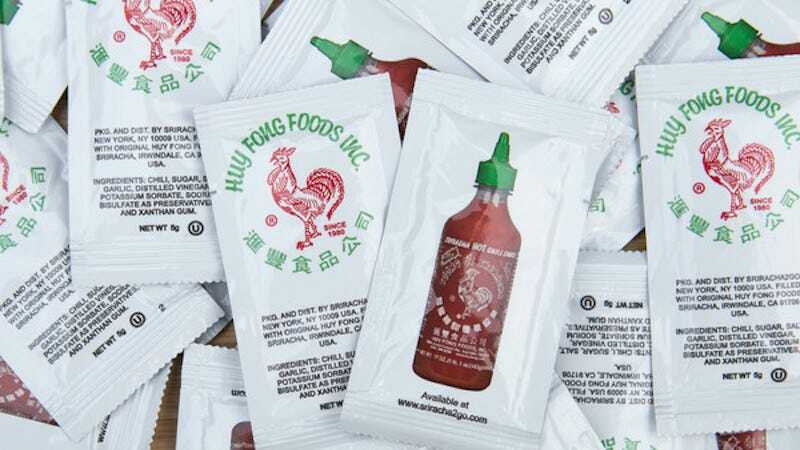 The makers of the official Sriracha everyone loves have squeezed this overrated sauce into tiny packets. The idea here is: you’re eating something—somewhere, anywhere—and you feel like it needs Sriracha. I would suggest not getting them, though. Because Sriracha is not that great. Me, I like a good Caribbean hot sauce that’s actually spicy. But I guess you can do what you want. You won’t find these convenient packets in restaurants yet—which is the only reason they should come in packets—but maybe one day.